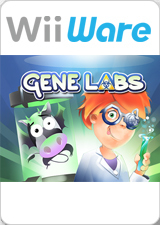 Gene Labs is an arcade puzzle game set in the world of genetic science and experiments. New viruses that are capable of genetically changing any living organism are spreading all around the world. The only hope is to cure the infected cells by looking at them under a microscope and injecting the anti-virus solution at your disposal. The goal of the game is to distribute the anti-virus solution to the cells visible under the microscope before they become infected by deadly virus. Drag the solution from healthy cells to infected cells to kill them and/or prevent the healthy cells from becoming infected by the bad virus. The graph below charts the compatibility with Gene Labs since Dolphin's 2.0 release, listing revisions only where a compatibility change occurred. This page was last edited on 17 January 2018, at 06:00.